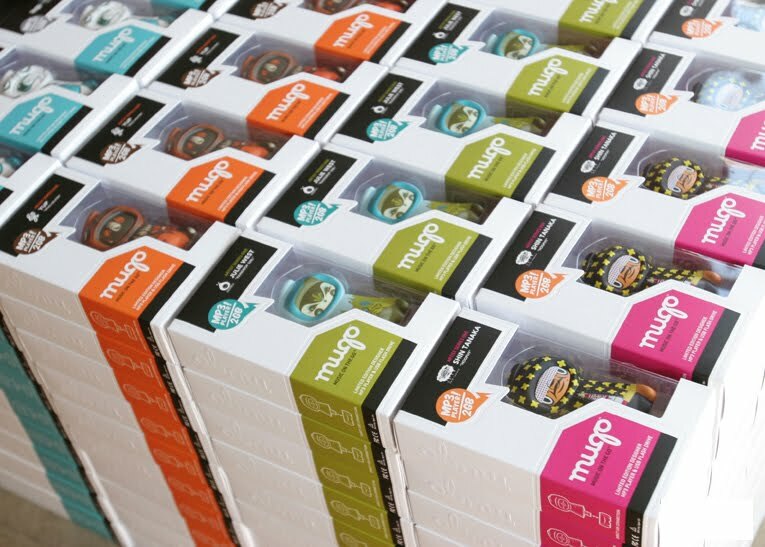 "Mugo, the first limited edition designer MP3 player and USB flash drive is finally here! 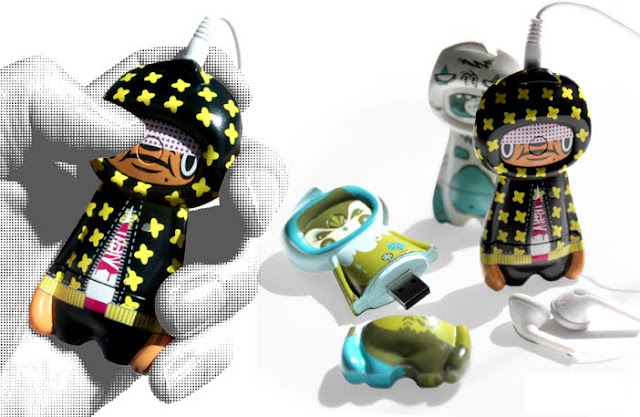 'Artist Series 1' has super limited designs by some of todays top urban artists, including Julie West, Shin Tanaka, Tougui and Yup. 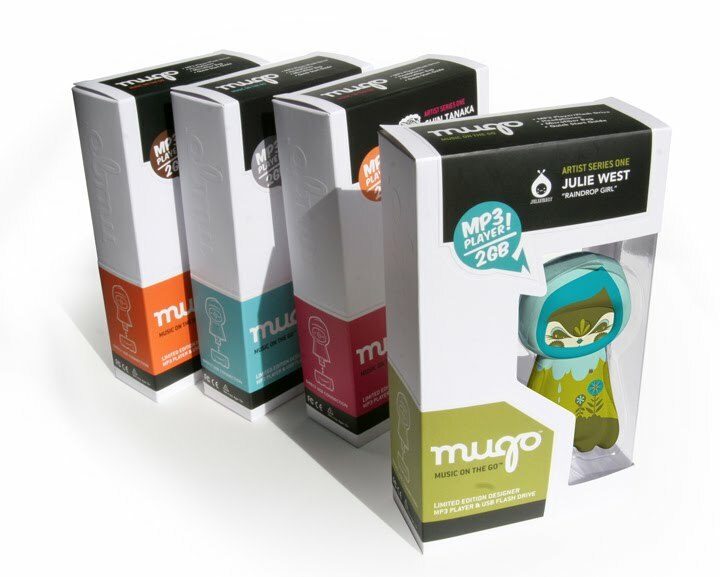 Mugo brings function to collectible toys by seamlessly integrating an MP3 player and USB data storage to this palm-size platform toy. Designer, Aaron Atchison of Feed the Beast created Mugo to be clean, simple and stylish. So simple in fact that it doesn't require any cables or software and works on both Mac and PC. The flash memory drive can hold up to 500 MP3 songs or 2GB of data storage. That's right, it also functions as a memory stick so you can store your favorite pictures, videos, data and more. The best part is actually navigating through your music as all the controls are under your thumb. By pressing the 'faceplate' you can control all the of the Mugo MP3 playing features. Check it out now, as these little guys are currently available at mugoplayer.com"